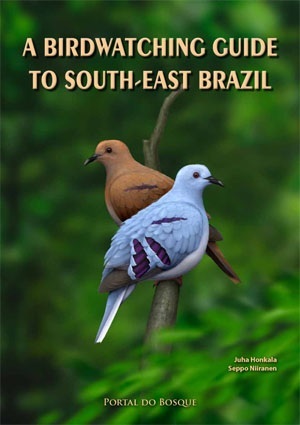 The site descriptions include information on some 50 excellent birdwatching sites throughout South-East Brazil with accurate directions on how to get there, details of what to see and expect, plus important information on conditions. In addition, the book includes illustrations of 558 species. The species accounts include all the detail necessary for field identification of the 471 species recorded in the Agulhas Negras area, in the heart of South-East Brazil, plus scientific and common names in English and Portuguese, size, voice descriptions, subspecies, habitat, distribution and status in the area. Each species is illustrated with a high quality, full colour photograph. Range maps show the birds' distribution in Brazil. A comprehensive species list of South-East Brazil, bibliography and a list of useful addresses and websites completes the volume. This books features 416 pages, 960 colour photos, colour distribution maps and 30 colour maps. Juha Honkala is a nature surveying and conservation specialist, working in Finland. His special interest is the tropics, particularly rainforest wildlife, and from 2001-2004 he helped develop ecotourism projects in Brazil. Honkala is currently working in the Raptor monitoring program at the Finnish Museum of Natural History. Seppo Niiranen works in the Bird Ringing Centre of the The Finnish Museum of Natural History and is also a bird ringer himself. After many years of serious birdwatching in Finland he decided to seek new horizons in faraway tropical lands. During a prolonged stay in Brazil he fell in love with Brazil and a Brazilian. Niiranen and his family are now living in Finland.